When Andy Rubin showed off the Essential Phone back at the end of May and opened up reservations for the device, he said that he wouldn’t have done so if he didn’t plan to ship the phone within 30 days or so. As you all know, that 30-day window has long since passed and we are now about 60 days out. We don’t know what the hold up is – it already stopped off at the FCC – but a couple of weeks ago he and his execs said that its arrival is both imminent and/or a “few weeks” out. The phone still isn’t available for purchase, but it did show up at Best Buy this morning. I should clarify that it showed up in Best Buy listings, not in an actual store. Still, this is a good sign! Best Buy has both the Sprint and Unlocked models in black or white listed as “Coming soon” with the option to be notified about the unlocked unit. 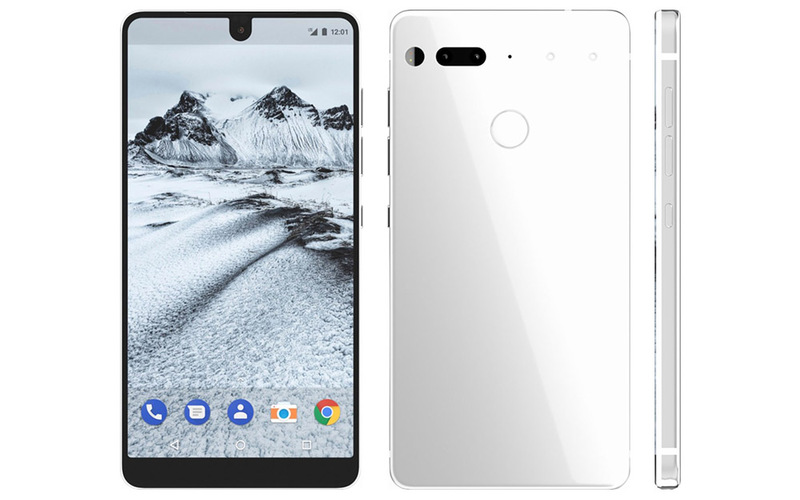 The unlocked unit will cost the $699 that Essential listed on their own site weeks ago, while the Sprint model is carrying a $749 price tag for some reason. If anything, Essential has had a solid month or two in attracting distribution partners since unveiling the phone. They started out with only a reservation system of their own and no partners, but now have both Sprint and Best Buy on board. 2017 Wireless Carrier Speed Test Battle Time: Let's See Those Screenshots!